Congratulations with your pregnancy! Having a baby is a life changing experience for any woman or couple. A healthy pregnancy and a healthy baby are the ultimate goals. Women can have different health problems in the different stages of their lifetime. It is important to be able to discuss these issues in a caring and confidential environment. 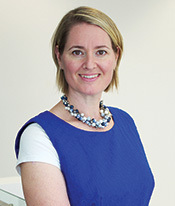 Dr Renee Verkuijl’s practice is conveniently located in the Oxford Medical Suites, next to the Mater Hyde Park Hospital. Her rooms are located on the second floor within the building. Dr Renee Verkuijl’s practice is conveniently located in the Oxford Medical Suites, next to the Mater Hyde Park Hospital. Her rooms are located on the second floor within the building. There is ample parking available, along with wheelchair and elevator access. When you visit us for the first time as a patient please remember to bring with you your referral letter, recent results and films for ultrasound or other imaging and results of recent blood tests. The referral letter is very important as it has vital information about your medical history, but also you will not be able to claim anything back from Medicare without this letter. The practice fees are available upon request from the Reception of Dr Renee Verkuijl’s office. It would be very useful if you could download and fill out the Patient Information page and bring it along. If you come for your first pregnancy visit, please fill out the Pregnancy Information as well.